Career coaching is suitable for everyone who would like to change their professional lives, who are at career crossroads, or are not satisfied with the personal and professional choices they have made and continue to make. Through a series of sessions, the coach will guide you to the answers of important questions, to clarification of values and beliefs and to setting short and long term objectives that will help you live a fuller and happier life. 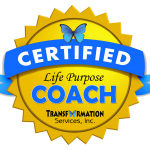 Since the beginning of 2017, I am a certified Life Purpose Coach – a coach equipped with knowledge, approaches, and materials to assist her clients in finding their true calling. I invite you to a quest for self-discovery and awareness in the search of your life mission. You can find the purpose and the essence of this course, who is it for, the duration, what’s expected of you, and the logistics details, in a separate section dedicated to life purpose coaching. If you are at professional crossroads, would like to change the career field, or are in the process of obtaining a degree, I will craft an individual coaching course and, together, we will figure out your next career step – after the necessary coaching discussions, career tests, and soul searching. With career coaching, the main objective of the clients is to assess their talents and skills, to become aware of their values related to the professional choices, and to select the most suitable career path. Sometimes, this means the right industry, sometimes – the right position, and other times – to realize that they would like to follow their internal entrepreneurship drive and to be able to organize their time and priorities. ⇒ Something’s bothering you, career wise, and you can’t define what it is. ⇒ You are not sure whether you would like to change employers, and – at the same time, you don’t feel you belong in your current company and team. ⇒ You would like to grow and get promoted in the company you are working for and you don’t know how to do it. ⇒ You have a new manager and after the first few months, you still can’t get along. ⇒ There are organizational changes, which make you feel unsecure and you start having questions about the future and your place in the company. we will do several coaching sessions, and after the relevant questions, discussions, and status quo challenges, will find the needed answers. 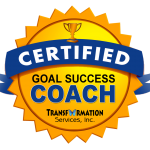 Since July 2017 I am a certified Goal Success coach. I’ve learned the methodology for goal setting and values identification, vision creation, change cycles, planning, motivation and de-motivation, and the underlying beliefs analysis. I’ve also studied methods with which to tackle procrastination and increase commitment levels to the identified career goals. You can find details about this methodology, who is it for, how it’s combined with the other methods in the section I’ve dedicated to this career coaching. What are the main types of coaching? What are the coaching components? How to select a coach?